When the Big Bash League changed to its current format before the commencement of the 2011/2012 Australian season, not much was certain. There was a litany of changes – state teams became city-based teams, there were overseas imports, and a whole new ball game was born. Perhaps the biggest story for BBL|04 is the Melbourne Stars signing former England batsman, and now gun-for-hire Kevin Pietersen. The 34-year-old caused a controversy after the news was revealed, with the England Cricket Board reluctant to release him until the release of his book earlier this month. That release came down to a no-objection certificate, but KP’s going to be donning the dark green come December. And a host of other talent has come with him. Andrew Flintoff is another name, Dwayne Bravo looks to be returning to the Melbourne Renegades, and Eoin Morgan rejoins the Sydney Thunder. Channel Ten’s takeover of the BBL coverage last season had a massive surge in television audiences, hitting an average 931,000 viewers across the season. Keiron Pollard is a man who once smashed a 120 metre six in an overseas Twenty20 tournament. He has resigned with the dark blue army, and will be available for the first half of the competition. Pollard ‘s incredible Twenty20 experience (248 matches, 4725 runs and 175 wickets) is the Strikers gain for BBL|04. Put Craig Simmons, Tim Ludeman and Brad Hodge on paper as well, and a big score is not far away. It is an underrated side with great strikepower and guile with ball in hand, but they must make the most of their home games to put wins on the board. Adam Zampa and Johan Botha are more than capable of spinning the Strikers to Victory. “Freddie” Flintoff will pull on the teal shirt in the second half of BBL|04, following former teammate Pietersen to Australian shores. Three wins in BBL|03 saw them miss finals, but the squad boasted some of the biggest – and cleanest – hitting batsmen in Australian cricket. Ben Cutting and Dan Christian (316 runs between them in BBL|03) can clear any boundary, and add Flintoff into the mix there’s the potential for lots of 200+ scores. Cameron Gannon (BBL|03; 18 wickets) will be a driving force again. Brisbane must get a good start with wins on the board, or miss the finals boat again. Hobart caught a few by surprise last year, with a mixed bag of games but securing three big wins, enough to scrape into the BBL|03 finals. An incredible clash against the Heat last year – in a game that produced more than 400 runs – put Ben Dunk on the map with a 67 (33). 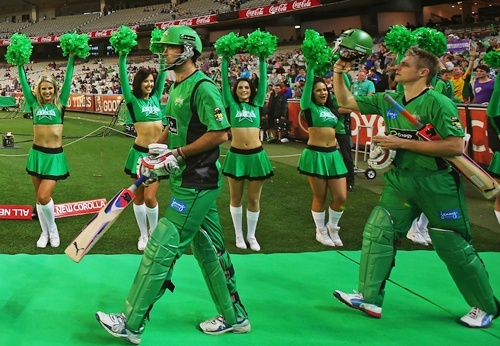 They blew the Melbourne Stars out of the water in their semi-final, and rightly deserved a finals spot. Travis Birt, Alex Hales, Dunk and Darren Sammy headline a balanced squad who can quite easily make it to the top four. Someone needs to knock the Perth Scorchers from their throne. From the big dogs of BBL|02, then missing the boat completely in BBL|03, the red army from Docklands have stocked up on the big bats come December. Kiwi Jesse Ryder joins the team, while Tom Cooper, Ben Rohrer and Alex Doolan all make their return. After a disappointing start last season, the Renegades cleaned up the Hurricanes on New Year’s Day by 51 runs. It was, however, short lived, as they lost the next three games and finals hopes were dashed. With just eight games to be played, getting a good start is crucial. Skipper Aaron Finch looks to be available for at least five of the eight games. Nathan Rimmington and Aaron O’Brien can spearhead a bowling attack that has the potential to keep the run rate down. Semi-finalists every year, but fall at the final hurdle. Last year they knocked off their semi-final nemesis, the Perth Scorchers, on a hot Melbourne day in the last round, but then fell against the Hurricanes, thanks to a 65 from Tim Paine. 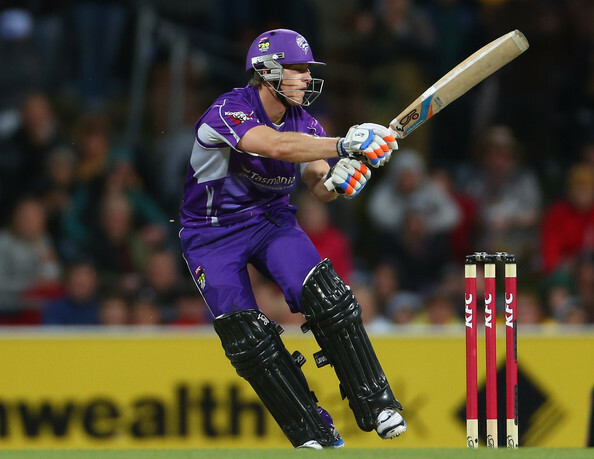 In BBL|04, the star-studded line-up continues. Most notable on the list is Pietersen, who, on his day, is perhaps the most destructive batsman in world cricket. Considered a gun-for-hire, KP’s ability to score quickly gives the Stars a much needed boost. There is plenty on the table for him. Add Rob Quiney, David Hussey and Luke Wright into that mix, and there should be plenty of balls flying over the MCG fences. Luke Feldman joins the Stars as they look to go all the way for the fourth time. Where the “X-Factor” that may help them comes from remains a mystery. The three-time finalists and last summer’s victors will continue to keep their opponents guessing in BBL|04, with yet another strong squad. Michael Klinger has made his way over from South Australia, while Adam Voges, Shaun and Mitchell Marsh and Nathan Coulter-Nile will pull on the orange jumpers again. Yasir Arafat destroyed and confused batsmen in BBL|03, taking 12 wickets for the tournament. His guile and variety when it comes to bowling four overs may be the Scorchers lynchpin. With such a consistent record, expect the Scorchers to make their way up the ladder very quickly. The magenta outfit bounced back extremely well in BBL|03 before being knocked out of the semi-finals by the Duckworth-Lewis method. Don’t be surprised if you see them go to the top again this year. Dwayne Smith is a big import, with the West Indian’s all-round ability an important asset in the batting order. The Sixers only have a few internationals – Brad Haddin, Nathan Lyon and Steve Smith amongst them – which allows for more freedom and consistency in the squad. Michael Lumb needs to put in a big year, while Trent Copeland and Sean Abbott will be stalwarts of the bowling attack. Everyone’s “favourite” team to face the past two seasons. Poor performances have yielded just one win in the past two seasons; however, Jacques Kallis, Pat Cummins and Chris Hartley all joining the Thunder really does point to positive signs. Mike Hussey is still at the helm to guide the men in green home, while stalwart Dirk Nannes will thunder in at almost 150kph. Breaking the shackles is the most important step for the Thunder this season; they have had the talent for a couple of seasons, but neither the experience or order to put it together. Strength lies in the bowling, but there is no doubt they could make a challenge with the bat.